Hong Kong has some of the best fireworks displays in the world and the celebration for New Year 2015 was no exception. Watch the midnight spectacular as Team Blacksheep delivers again with some great aerial footage captured by a drone. The camera drone flying up close and through exploding fireworks is the ultimate view of the celebration. From the video publisher, the airframe used was the TBS Discovery PRO from Team Blacksheep. From the Team Blacksheep website, the TBS DISCOVERY PRO gimbal frame is the perfect tool for amateur and pro aerial videographers. 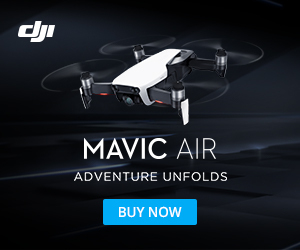 Sporting a fully stabilized camera gimbal it is the most powerful, compact, robust and versatile “take anywhere” quadrocopter available to date. Tried and proven frame design – based on the world’s most popular FPV quad!